Tonights craft is a special idea for a little boy who is yet to be born but getting very close! I doubt that his name will be Jonah, but I just couldn’t resist the ‘thematicness’ of it. Yep I made up a word. 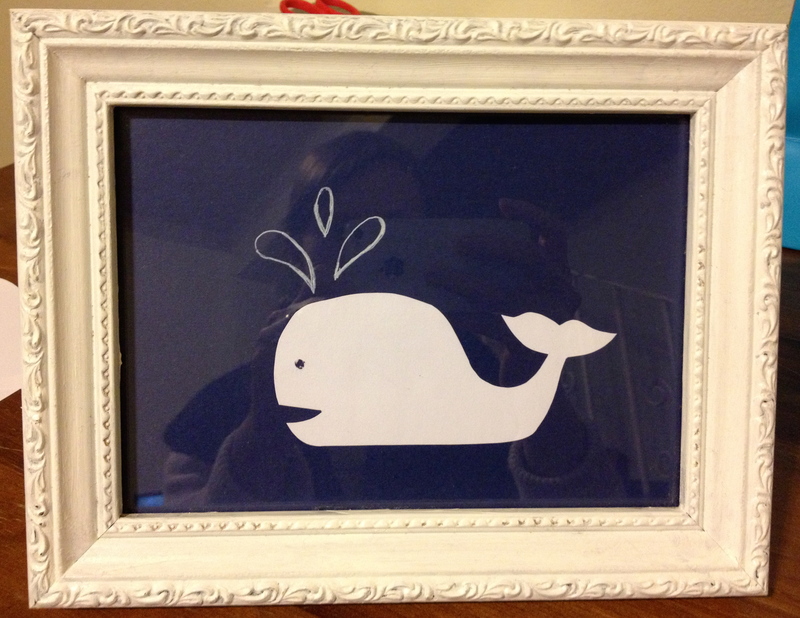 Anyhow, it’s a piece of whale art! Something about it isn’t quite right though. Do I colour in the water bits? Cut out bits of paper for the water (so it’s as bold as the whale)? Or scrap the water all together and make the whale more centred? Oooo, great idea! Thank you!